It's true, students can learn while having fun! 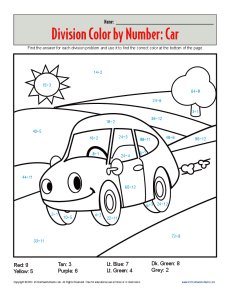 This color by number worksheet of a car helps your student learn division while completing the picture. When she's finished, she'll have a beautiful picture and a better understanding of division.